This is from a couple weekends ago, I’m just a tad behind (or maybe a little more)! 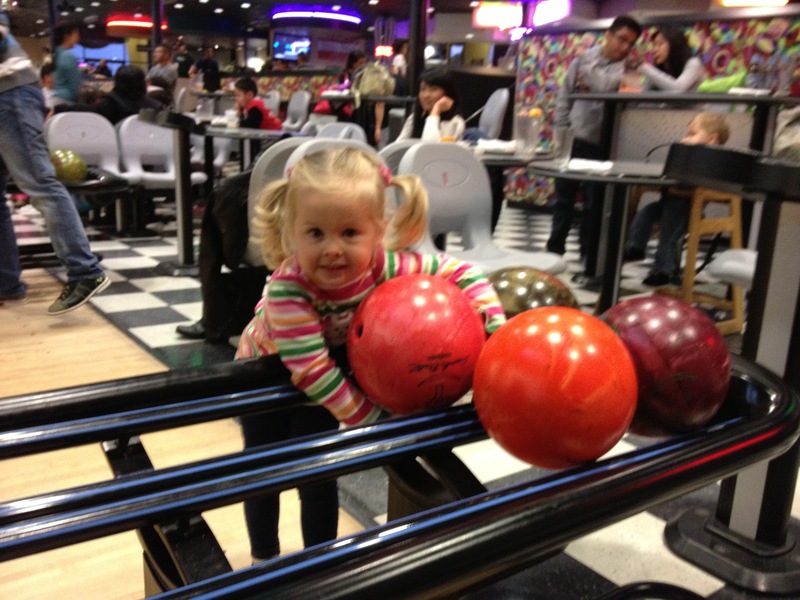 A group of my favorite San Diego families got together for a family bowling session. It was as fun and crazy as you can imagine with a kid-to-parent ratio largely favoring the kids, oldest of whom was 6. Elliot missed out on the mayhem, as he was at work. Isla seemed to really enjoy (and understand) the game, so we decided to go back the next day with Elliot. 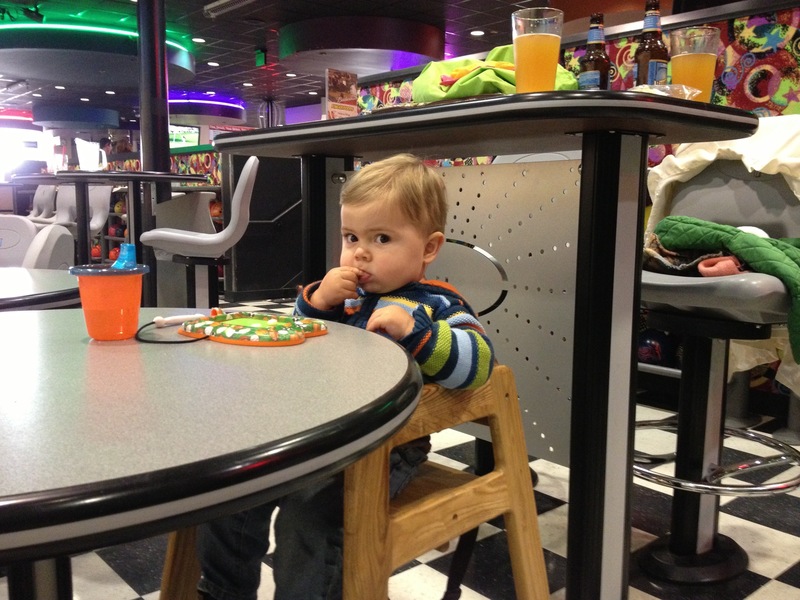 Asher hung out in a highchair (this was pre-crawling)- snacking, watching and flirting. 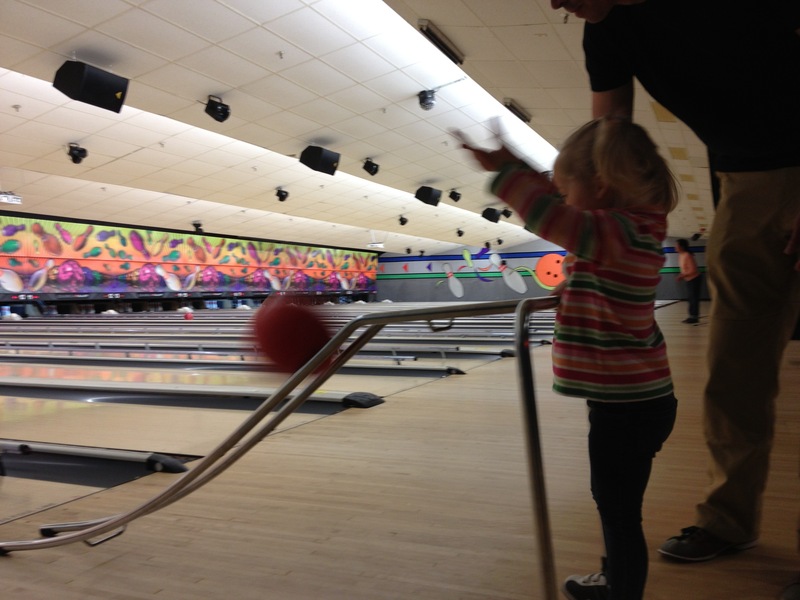 Isla hoisted her 7-pound bowling ball each and every turn, cheering its (v-e-r-y s-l-o-w) descent down the lane. Elliot and I also played, and even got to enjoy a beer together. Fun for all! Just saw these pix. You just made my day! 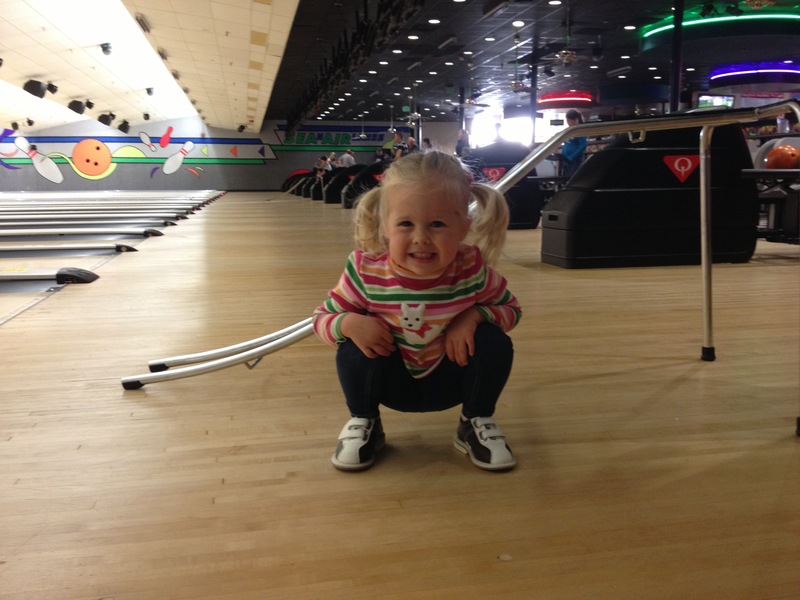 The bitty bowling shoes are killing me! She loves it, that’s for sure.